Home WHISKY & WHISKEY Scotch Whisky Diageo Special Releases 2014 – they're here…. It’s cold, it’s dark, people are starting to wear winter coats, and Jim Murray’s Whisky Bible has appeared. There’s still one thing missing: the Diageo Special Releases. While Rocky got a pre-pre-launch tasting a few weeks ago, the main launch party was on Tuesday night, and the bottles have hit our shelves today. If you’re in a rush, you can find the complete list of available bottles here. If you’re after the Port Ellen or Brora, I’d head over there immediately – they don’t usually last long. 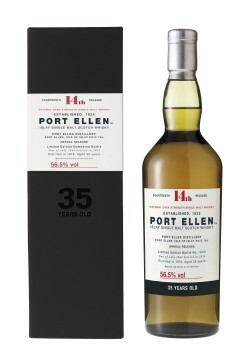 The fuss about the Port Ellen is its price, which has been rising steeply over the past few years: £300 in 2011, £600 in 2012, £1500 in 2013 and now £2200 in 2014. We’ve not seen any slowing in sales despite the price, and we expect this one to disappear as quickly as usual. If you’ve read this far and want to buy one, then you should probably click through quickly – they won’t last long. This year’s bottling is their oldest yet, distilled in 1978 and matured for 35 years in a mixture of refill European and American oak casks. Nose: Seashells and hazelnuts, ferns and menthol, all covered with a maritime air – sharp ozone and seaspray. Aniseed balls and fruity touches (pineapple and sweet apple) are joined by a touch of salty prosciutto. Palate: Sweet and spicy, with a (pleasant) touch of rotting straw in the background. The spice comes from clove-studded oranges and the sweetness from dark chocolate. Behind that there are leafy notes, with forest floor, damp bark and pine joined by some sultana touches. Finish: Rock pools, damp wood and old oak rancio, with sweet cinnamon butter and rich earth lingering. 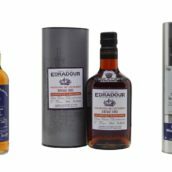 Comment: A more maritime and zingy Port Ellen than many of the recent releases, and all the better for it. A good balance of dark and light. Brora is another bottle that’s gone up sharply over the years, but as the availability of whisky from the closed distillery has been shrinking at quite a rate, it’s understandable – other than the yearly Special Release and the impressive 40 year old Diageo released earlier this year, we’ve only had one new bottle of Brora through our doors in a while, and that sold out immediately. While we managed to get a cask sample of 1978 Brora for the Aurora Brorealis masterclass at The Whisky Show this year, we don’t think there’s much left and don’t see large amounts coming on to the market again. Nose: Mulchy straw, cream and pineapple, with floral touches, honeysuckle, salted butter and damp hay. Palate: Creamily textured, sweet and buttery to start, with spice and earthiness coming in behind. Sweet lemon, with bitter pith, and building woody spice are joined by pine needles, mint leaves and touches of chocolate. Finish: Earth and pine, with a touch of fruit. Gentle smoke and oaky spice linger. 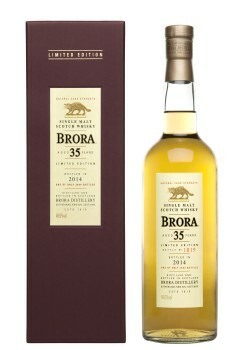 Comment: My style of Brora: not as farmyardy as some, but with the sweet fruit and smoke mixing with a little bit of mulch. Benrinnes is one of Diageo’s quieter distilleries. It doesn’t get a lot of exposure and, like many in the porfolio, other than in blends only really sees the light of day in a Flora & Fauna release. Its heavy and meaty character lends itself well to sherry-cask maturation, which has started building popularity with a new generation of whisky geeks, looking for something a little different to the classics. 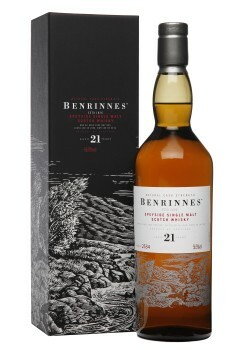 It’s not the first time it’s popped up in the Special Releases, with 2009 seeing a 23yo heavily sherried bottling in the line-up, which split opinion thanks to its savoury and heavy character. Nose: Chocolate tiffin to start – cocoa, cherries, raisins, oats and a touch of spice. That’s backed up with struck match and leather, along with rich riverbank earth and salty liquorice. As it sits (and my nose got used to it), some of the heavier notes roll away to reveal some fragrant leaves and pine needles. Palate: Sweet cherry and liquorice up front, getting rapidly heavier, with chocolate fudge and cinnamon building. Leather sits in the background with baked apples, cinnamon and a touch of brimstone. Despite those dark flavours, it sits relatively lightly on the tongue, with some fresh apple zinginess. Finish: Mineral touches, more cocoa, leather and sweet chocolate cookies. Comment: I expected it to be a sherry monster, and it was. However, it avoided the Bovril/Marmite-like touches of the previous release, instead bringing in a fresher and more fruity character. Strathmill is best known as the core of Diageo’s J&B blended whisky and, like Benrinnes, is mainly known through its Flora & Fauna bottling. They go for a light, grassy and fruity style, which at 12 years old, the age of the F&F, is not that memorable. But with a bit of age, the spirit comes into its own. This bottling sits in the middle, age-wise, going for a balance of elegance and maturation. Nose: Buttery and sweet to start, changing quickly from being zesty with sharp lemon, and then on to oatcakes, with spice and lemon-rind chunks. It doesn’t really settle down, jumping around and changing a lot, with touches of cinnamon sugar, white wine vinegar, butter icing and lemon sherbet also making an appearance. Palate: Much more stable, with lemon sherbet, candy floss, barley sugar on top, and heavier notes underneath: brown cinnamon toast, Crunchy Nut Cornflakes (no milk) and sprigs of mint. Finish: Long, with spicy oak, digestive biscuits and leafy mint. Comment: The first Strathmill that I have notes for (or remember trying) and a good ‘un. The nutty and toasty notes give a solid base and the minty touches on the finish really work. 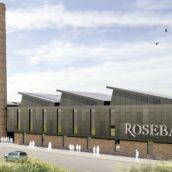 Rosebank has cropped up a few times in the Special Releases, with this year’s being very reminiscent of the appearance from 2011: a 1990 vintage 21yo with an outturn of almost 6,000 bottles. At the time, we mentioned that with the distillery closing in 1993, and casks rumoured to be in short supply, we didn’t think we’d see many more. This release may only be three quarters the size of the last one, but it’s good to see that they do still have some casks left in the Diageo warehouses. That said, it’s become even more rare in recent years, and yet again we wonder if this could be one of the last releases. Nose: Sweet butter, honeysuckle and hay, with creamy grain. Pears and nectarines give a fruity centre, with grassiness, pear drops and citrus oil providing a sharper contrast. 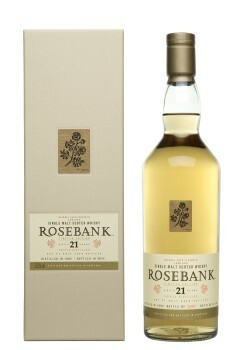 Palate: Initially soft and sweet, but quickly developing elegant polished-oak notes, orange zest and toasted almonds. Bitter oak grows, but is balanced by sweet grass and meadow flowers. There’s some darker aniseed and liquorice notes hiding at the back with some woody spice, but it’s restrained and doesn’t overpower. Finish: Long and warming, with anise and oaky spice. Candied lemons and sherbet develop. Comment: Almost exactly what I was expecting, although with a bit more weight and richness. A classic Rosebank. Nose: Oak, toasted grain and green ferns, with sweet toffee and fudge – flapjacks on a picnic? Nougat, Mr Sheen polished tables and marshmallow sit on top of a layer of elegant old oak. Palate: Sharp apple edges, with toffee, white pepper, cinnamon sugar, lemon oil and damp oak. Damp leaves and old oak dominate, with layers of woody spice and elegant oak. Finish: Light and sweet with golden sugar, tree bark and – surprise surprise – old oak. Comment: This year’s wood masterclass, with layers of oak providing elegance, spice and some sweetness. Excellent lingering finish. Cragganmore seems to get overlooked in Diageo’s portfolio, even though it’s one of the Classic Malts, and it’s one that I often like returning to – it’s earned its place in that range. 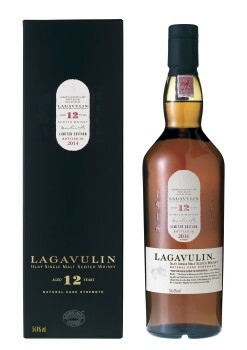 This release shows some of Diageo’s 1980’s experimentation, with the whisky matured in refill American oak casks fitted with new wood heads, to add a bit of fresh-oak spiciness to the mix. Nose: Candied hazelnuts, lime chews, squirty cream, pink marshmallows and Tunnock’s Tea Cakes to start, but with darker notes behind: glacé cherries, earthy touches, toasted grain and a hint of chocolate. Palate: Soft and oaky, with vanilla cream, golden syrup, oaky spice, green leaves, aniseed balls and sliced apples, with menthol touches sneaking in at the end, with cloves. Finish: Zingy Granny Smith apples, barley sugar, cocoa and rolled oats. Dark oak and toffee remains. Comment: Just what I was hoping for – intense, with a balance of green, dark and sweet notes. The finish is immense. 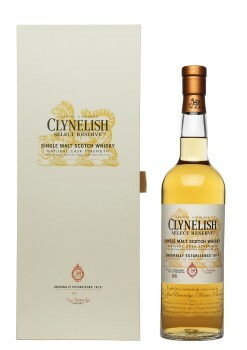 Not only is this the first time that geek-favourite Clynelish has appeared in the Special Releases lineup, it’s also the first no-age-statement whisky in the range. A combination of things that the outspoken whisky fans love and hate, all in one bottle, along with a not-inconsiderable price tag of £500. A whisky that I am almost certainly going to like, but presented in a way that will annoy the whisky geek in me – a dilemma. 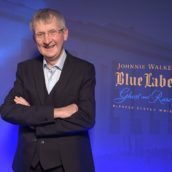 The story is that Diageo master blender Jim Beveridge was given a brief of producing the best Clynelish that he could, and given that he was behind the table pouring it at the launch, it sounds quite likely. 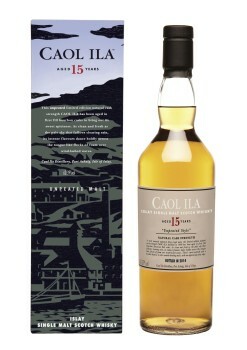 Nose: Lemon posset with seashells, sweet fruit and classic Clynelish waxiness. Honeysuckle and pink shrimps are joined by a zingy citrus note tingles the nose hairs. A drop of water adds cocoa, spice and a tiny hint of match. Palate: Cream, tropical fruit and wax-polished oak, with a hint of brine and a stack of sweetshop notes: white-chocolate bobbles, milk gums, more pink shrimps and jelly tots. Darker oak sits behind, with menthol touches. Water smooths everything out into lemon cream with oaky spice. Finish: Sweet and buttery, with candied apple, waxed fruit, lemon touches and spicy oak. Comment: This was designed to be a show-stopping Clynelish and it succeeds – oaky where it needs to be, but zesty and showing off the classic distillery character. It also takes water very well, transforming it into something different, but still definitely Clynelish. My previous dilemma has been solved: I really liked it. 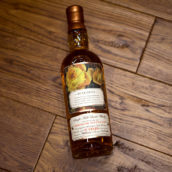 While this is usually the most popular bottling in the Special Releases each year, with the number of bottles released showing the demand, it is also normally one of the best when it comes to price/value. However, there was a little but of rumbling after the preview tasting that it wasn’t necessarily all that. Since then, there have been more positive reviews from subsequent tasters, and since it recently appeared in a few shops in mainland Europe the buzz has been good – this was one I was keen to try for myself. Nose: Green and spicy, with lime pith and peel, cooling menthol, tarragon, clove and lots of sea spray ozone. Palate: Rich earth, smouldering peat and mint chocolate, with cinnamon biscuits, freshly crushed grain and some green leafiness. It’s quite syrupy in texture with some woody spice. Finish: Sour fruit, burning leaves and chocolate cookies, with a dry minerality lingering. Comment: The dry finish turned off a few tasters, but I quite liked it. It’s not as sweet as some previous releases, but the smoke is more integrated, giving it a rounded flavour. Nose: Punchy, with sea spray, green leaves and mint chocolate. Some mulchy apples and sweet fruit, along with candy floss. Palate: Sweet, hot and intense, with candied fruit and leafy touches. A touch of dilution shows a syrupy mouthfeel, chocolate milk, cinnamon and nutmeg. It’s heavier than I expected, with dark oak spice and chocolate flapjacks. Finish: Syrup, chocolate sauce, toast and damp oak notes. Comment: Not the most complex whisky on display, and definitely in need of some water, but good for it. Nose: Seashells, farmyards and old, damp straw – a combination of the bits of Brora and Port Ellen that I like the best. Green ferns and toffee apples develop, along with some dustiness, candle wax and orange oil. Palate: Quite hot initially, although not overpowering, with oaky spice. Once you get through that initial barrier, liquorice builds in intensity, with lemon rind, anise and dark rye bread. Sweetness then comes through, thanks to dried mixed tropical fruit (mango and papaya), and a touch of cracked-black-pepper spice. Finish: Spicy, with damp earth, liquorice and sweet grass. Bitter oak builds, with sweet aniseed balls and toffee apples. Comment: My favourite of the night, as I expected from reading Rocky’s notes. A combination of the best bits of old peated drams with Caol Ila’s freshness, giving a fruity but spice and slightly farmyardy whisky. All in all, a good crop with something for everyone. They are all now up for sale, although if you’ve read this far, at least a couple will have already sold out. You can find all of the whiskies we have in stock on our Diageo Special Releases 2014 page. Update: The Glendullan and Rosebank are running late and will be available soon, but the rest are now up on the website. @whiskyexchange @specialreleases @tweblog Where’s the Rosebank ?